Chain link fences are a great low-cost alternative to wood or vinyl fencing, especially in cases where you may not want to block the view of whatever is beyond the fence. 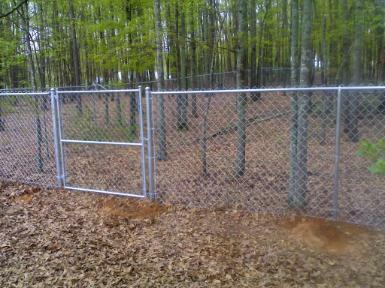 Chain link fences are also very durable. The wire mesh cloth that gives chain link fencing its signature look is galvanized with a corrosion-resistant zinc coating for superior protection against rain, snow or frost. Unlike wood fences that require regular maintenance due to wear and tear against the elements, chain link fences don’t require much additional care and will last for years to come. 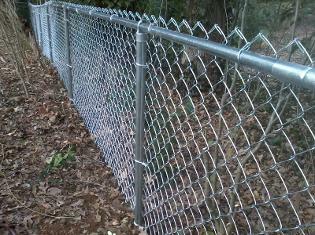 Chain link does not need to be stained, painted or sealed.